And they answered Jesus, and said, We cannot tell. And he said unto them, Neither tell I you by what authority I do these things. (Mt 21:23-27). As Jesus continued to teach in the Temple about the Kingdom of God, He talked about fig trees and throwing mountains into the sea. All you have to do is believe, He said, and what you ask will be done. 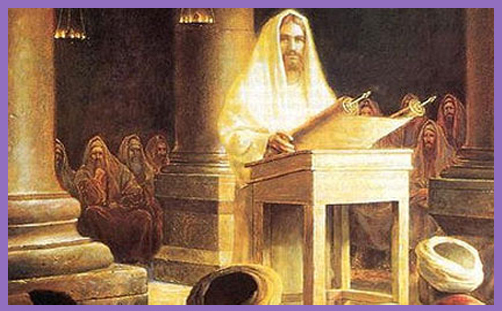 He was interrogated by the chief priests and scribes about his authority to teach. He didn’t show his theology degree; instead, He responded to their questions with his own. Where did John’s baptism come from? They could not answer, so neither did He. There were parables about disgruntled labourers in the vineyard and harlots in heaven. The reaction to these must have been one of irritation and embarrassment: doubtless some of Israel’s spiritual leaders stormed off, as hypocrites tend to do when confronted with their own inadequacies and absurdities. The Pharisees then tried entrapment, asking whether it was lawful to pay taxes to the Emperor. Aware of their motives, Jesus’s response was unequivocal – taxes must be paid. The Lord’s authority came from God, but He never used it to subvert the princely rulers of this world. Our citizenship is in heaven; we are merely passing through the temporal sphere. And while we journey, we must obey the political authorities and the precepts of our employers. Of course, we may agitate for change, but we must never do so without humility or love, which penetrates the souls of those who are being lost, for God is love. Religious shows of ostentation and hypocritical piety are antithetical to the kingdom of heaven: by focusing on the letter of the law, we easily forget that the true substance is justice, mercy and love. By obsessing about outward adornments, we risk ignoring the spirit, the heart, the purpose of our faith. Indeed, the outward manifestation is hollow when it is more pharisaically obsessed with propriety than with loving one’s neighbour. On this Holy Tuesday, let us reflect upon our blindness and deafness; our shortcomings, hypocrisies and inadequacies. Everything we do is dirty rags before the Lord. We construct our own whited sepulchres full of dead men’s bones, and are plagued by all manner of uncleanness, so let us take the Lord’s warnings about authority and hypocrisy very seriously indeed: we must not be outwardly what we are not inwardly, and our outward must be faithful to the inward. Many are called, but few are chosen.